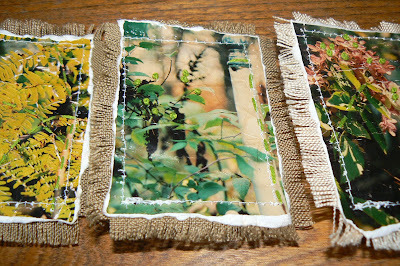 Today I updated some of my photo pins by adding tea stained fabric behind the photo. 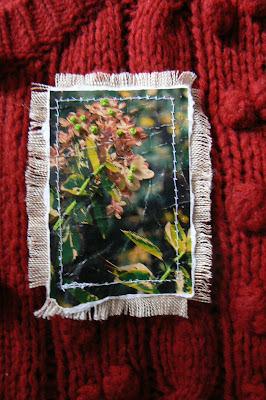 After I machine stitch the layers together I fray the fabric. 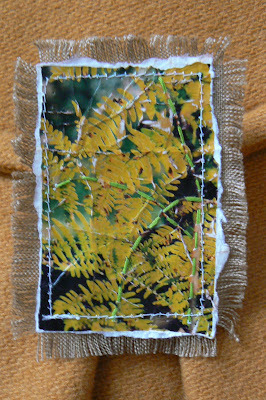 I am very pleased with the way the fringe frames the photo, and also adds another textile element to the pin. I am selling these for $10...anyone interested? !